Still playing with some other great things I bought back in Bucharest. 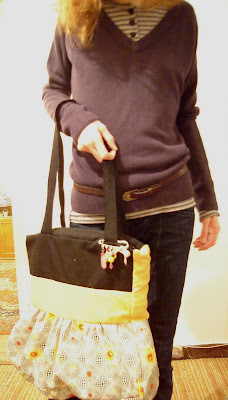 Here's one item I haven't got the chance to introduce yet: it's the second bag I got. You can take a look at the first one in this post. 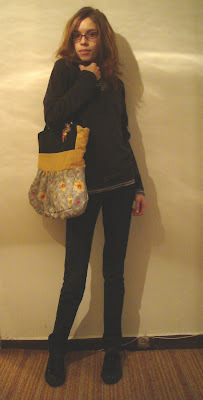 bag, Catwork + brooch, Chic not chicken.